It's never been entirely specified if The Rock used the 'crib-sheet' technique intentionally to give John Cena an open goal in their ongoing promo battle, but even if that was true behind the scenes, it wouldn't impact the almost-instant fan forgiveness of a lazy moment for 'The Great One'. 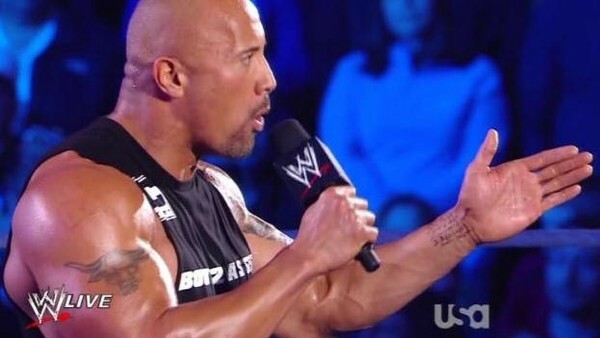 Going largely unnoticed otherwise, eagle-eyed internet viewers and Cena himself made light of the mini-essay scribbled on Rocky's wrist which appeared to bullet the points he needed to make in that night's salvo against his WrestleMania 28 opponent. It gifted the 'Leader of the Cenation' first blood in their face-to-face on Monday Night Raw, but within a weeks it was forgotten, and even within seconds of the revelation, fans were still cheering The Rock's name. As a man considered one of the better improvisors in wrestling, and a performer with an increasingly dense background in cinema, it was a risky proposition to appear in a full arena with the notes so visible, but Rock proved typically teflon to the potentially damaging moment.